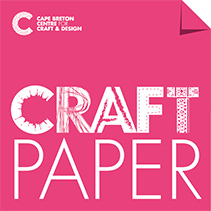 Cape Breton Centre for Craft & Design coordinates business skills development activities to aspiring and existing entrepreneurs within the craft sector of Cape Breton Island and Mulgrave. These activities support the development and growth of craft businesses. They enable aspiring and existing entrepreneurs to develop the business skills needed to start a business, enhance productivity, and improve capacity for growth. For more information about these activities, please contact Máire Neville at 902 539 7491 ext 115 or maire@capebretoncraft.com. Are you a craft producer looking to learn more about online sales platforms, product photography or creative writing for an audience? Join industry professionals for a day of business development to help you grow your craft career. Online Sales Platforms – how to drive traffic to your Instagram, Etsy, Shopify through social media platforms and marketing tactics. Product Photography – how to get professional looking photographs using your smartphone. *Please bring a sample of your product for the photography session. Creative Writing – how to write an effective artist bio, explaining your product and painting an online rapport with your customers while staying true to yourself. 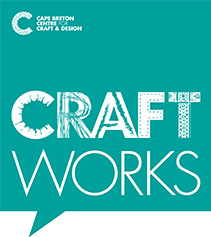 For more information or to register, please contact Máire Neville at 902 539 7491 ext 115 or maire@capebretoncraft.com. Registration deadline is Wednesday, October 17, 2018.